Check out the COD Black Ops III reveal trailer and new info! Mark your calendars for the return of the most played series in Call of Duty® history, because Black Ops is back! Call of Duty®: Black Ops III will arrive Friday, November 6, to take fans on a journey to the dark, twisted and gritty world of Black Ops with a true next generation experience that redefines Call of Duty. Published by Activision Publishing, Inc., a wholly owned subsidiary of Activision Blizzard (Nasdaq: ATVI), and developed by award-winning developer Treyarch, Call of Duty: Black Ops III delivers a campaign that can be played as a full single player game or co-op online with up to four players, the deepest, most rewarding multiplayer ever offered in Call of Duty and, a mind blowing Call of Duty Zombies experience that, for the first time, features its own XP progression system. 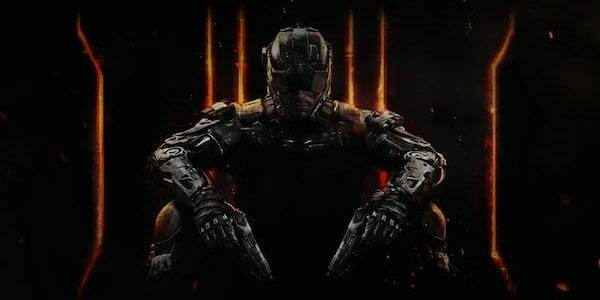 Call of Duty: Black Ops III is in development for Xbox One, the all-in-one games and entertainment system from Microsoft, PlayStation® 4 computer entertainment system and PC. Activision and Treyarch also announced for the first time on Call of Duty next gen – a multiplayer Beta for Call of Duty: Black Ops III. Fans who pre-order the game now on Xbox One, PlayStation 4 or PC will get access to the Beta*, details for which will be announced at a later date. The Black Ops series is the most played in Call of Duty history with nearly 100 million registered players having played Call of Duty®: Black Ops and Call of Duty®: Black Ops II combined. For award-winning studio, Treyarch, this marks the first time with three-years for development, which has been fully leveraged to bring the Black Ops series to next gen with Call of Duty: Black Ops III. The Call of Duty: Black Ops III campaign deploys players into a future world, where bio-technology coupled with cybernetic enhancements has given rise to a new breed of Black Ops soldier. Through Direct Neural Interface (DNI) technology, players are now connected to the intelligence grid and their fellow operatives during battle. In a world more divided than ever, this elite squad consists of men and women who have enhanced their combat capabilities to fight faster, stronger and smarter. The most engaging and rewarding multiplayer offering to date debuts a new momentum-based, chained-movement system that allows players to move fluidly through custom-built environments with finesse, all while maintaining complete control over their weapon at all times. Treyarch also introduces its new Specialist system, which lets players choose and rank up nine elite Black Ops soldiers, each with their own look, personality, voice and battle-hardened weapons and abilities, fundamentally changing the way players engage in combat. Multiplayer is rounded out with an all-new weapon customisation system that give players more powerful tools than ever to build and personalise that perfect weapon. Additional details about multiplayer will be announced at a later date. No Treyarch title would be complete without its signature Zombies, rounding out the offering. Call of Duty: Black Ops III delivers a completely unique Zombies experience and is the most immersive and ambitious Zombies to date, complete with a new XP progression for players, adding unprecedented levels of depth and re-playability. The Call of Duty: Black Ops III multiplayer Beta* will be available on Xbox One, PlayStation® 4 system and PC. Actual platform availability and launch date(s) to be determined. Seewww.callofduty.com/beta for more details and redemption instructions. After redeeming a Beta Access code, stay tuned for more detail on how and when players can access the Beta. Limited time only, while Beta codes last, at participating retailers. Internet connection is required. For the latest intel, check out: www.callofduty.com, www.youtube.com/callofduty or follow @Treyarch and @CallofDuty on Twitter and Instagram and Facebook. Call of Duty: Black Ops III is not yet rated.